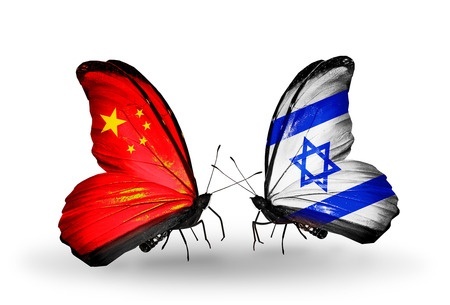 In recent years investment and trade between China and Israel has ramped up considerably. This is on the back of the 2013 $400 million financial protocol agreement which has the goal of expanding the trade amount between the two nations to more than $8 billion annually.1 This has been followed by major business deals such as the Chinese Bright Food (Group)’s purchase of 56% of the shares of the Israeli Tnuva Food group a company valued at $2.5bn, the largest Israeli food manufacturer, and ChemChina’s $2.4bn acquisition of Makhteshim Agan. Further the establishment of a number of collaborative education programs, an example being the XIN centre founded between Tsinghua University and Tel Aviv University ensure that a scientific and educational partnership will continue to develop and flourish. Israel has long modeled itself as an innovation driven economy. From a Chinese perspective Israel’s focus on innovation in the areas of agriculture, medical devices, life science and information technology is uniquely suited to meeting China’s needs as its economy continues to grow. Reflecting this is a trend of major investment by Chinese companies in Israeli businesses and technologies. For prospective investors there are significant opportunities here that must not be missed. However investment is almost never as simple as throwing money at a business or technology that looks promising and expecting results and returns. Investors must undertake processes which ensure their investment is protected and can succeed especially in a market that differs significantly from China’s in the manner of Israel. Undertaking proper legal due diligence is an essential step prior to any such investment. 3. Due Diligence – What is it? The process of due diligence can be simplified as, an advanced way of checking a target company’s overall structure and background and making sure that the target company’s representations are accurate. The ultimate goal being to ensure that the investment can proceed without issue. In order to answer many of the questions a target company will have to supply its Articles of Association, patents, major agreements and a large number of other documents. These questions can fall into a number of distinct categories which can cover general legal, intellectual property, taxation, financial and environmental expertise. The legal due diligence is done by your attorney, due diligence related to financial, intellectual property, taxation or environmental matters will require a larger team of professionals utilizing expert knowledge in different fields. 4. Where to Conduct the Due-Diligence Process? As mentioned previously there is usually a need to examine a great deal of documentation to form a satisfactory overall picture of a target company in a due-diligence process. As such there needs to be a place where these documents can be compiled and assessed. There are two common approaches to this issue. The first is to have the target company set aside a data room, which is a secure place where they can assemble and retain control over documents that in addition to publicly available material could be confidential in nature. This could be setup on-site at the company for the investor to examine or placed under the care of a trusted attorney. The second approach is to have the company send the necessary documents to the investor directly5 and modern technology greatly facilitates this process which could even be done over a cloud server. Savy investors should be well aware of the traditional common law rule of Caveat Emptor (Let the Buyer Beware) which remains in Israeli law. This has the effect of placing no duty on any target company to disclose any particular traits or issues in the company that could pose a bar to a successful investor or merger unless they are prompted to do so. This reinforces the importance of a competent and thorough due-diligence process being undertaken before any investment is attempted no matter how lucrative the investment market may be. Labor law may be a complex issue as Israeli law can differ profoundly from that of China or U.S law. There are a number of key issues in the Israeli context the first of which is severance pay, which accompanied by a host of other socio-economic benefits which are also mandatory can present real challenges to an inexperienced or ill-advised investor. Collective bargaining agreements are also commonplace in the Israel. Israel, like China also has labor courts that specialize in labor laws and typically support employees and this is an important consideration in any due-diligence process. 7. Liens and Pledges: Can the Shares be Sold? A hugely significant stumbling block which due-diligence can identify is the existence of liens or pledges over company shares. Verifying that your company is free and clear of all liens and pledges is a crucial part of any due diligence process. In Israel records of pledges can are held by two separate organizations. In the case of pledges held by a company they are registered with the Registrar of Companies and can be accessed online. In the case of pledges held by individuals these are registered with the Registrar of Pledges which has five regional offices any of which an individual can register a pledge with.7 A typical legal due diligence will require checking both the companies backgrounds and that of individual shareholders. A further important note in terms of share ownership is that typically in Israeli start-up companies the founders and key employees will have stock options which will require in depth analysis on the identity of the shareholders. It is important to determine the equity rights of the employees and give careful scrutiny to the identity of the shareholders. Legal due diligence is very much a process where the parties are learning more about themselves. During the due diligence phase the investor learns in depth about the legal documentation, the major transactions and the finances of the company. Often during the process there are interviews conducted with the key management and key officers of the company. It is important to realize that there must be a harmonious relationship between the investor and target company during this process, especially as most companies feel uncomfortable when a third party is delving into their financial, legal and proprietary affairs. Therefore it is important that you have a local legal counsel that is familiar with the local culture and country where the target company is located to facilitate the process. 10. Closing Thoughts It is important to understand that despite the necessity of undertaking a due-diligence process Israel is very much geared towards promoting investment in and exporting technology and innovation. Provided that investors guard against common pitfalls with appropriate due-diligence processes the rewards are there to be reaped. *Amit Ben-Yehoshua is licensed to practice law in California and Israel. Amit holds a Master of Law Degree from Tsinghua University of Beijing. Amit is the founder and director of the Israeli Chamber of Commerce in Shanghai. Amit resides in Shanghai and practices law at Da Cheng Dentons which is recognized as the world’s largest law firm. Amit specializes in cross border investment with emphasis on China, US and Israel and also provides U.S Immigration services. Amit can be reached at amit.ben-yehoshua@dachenglaw.com. Mr. Chris Sparks is graduate degree law student and an intern at Da Cheng Law Offices. The information provided in this article is provided for general reference only and should not be regarded as a legal opinion or full analysis of the law.